Home > Textbooks > The Roman World (The Oxford History of the Classical World, Volume 2). 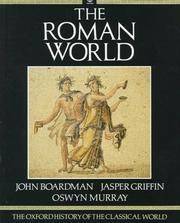 The Roman World (The Oxford History of the Classical World, Volume 2). New York, NY Oxford University Press, 1988. 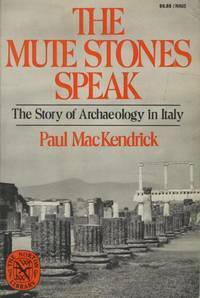 Paperback First Edition Thus (1988), so stated. Issued simultaneously with the hardcover edition. A one-volume edition was published in 1986. Very Near Fine in Wraps: shows only the most minute indications of use: just a hint of spine lean; a short, superficial scratch at the upper backstrip; else flawless; the binding is square and secure; the text is clean. Free of any creases. Free of any ownership names, dates, addresses, notations, inscriptions, stamps, plates, or labels. A handsome, very nearly-new copy, structurally sound and tighly bound, showing a couple of very minor flaws. Very close to 'As New'. NOT a Remainder, Book-Club, or Ex-Library. 8vo. (9.65 x 7.5 x 1 inches). 456 pages. Profusely illustrated in color and black & white. Language: English. Weight: 2 pounds, 8.9 ouncesFirst Edition Thus (1988), so stated. Issued simultaneously with the hardcover edition. A one-volume edition was published in 1986. Oxford History of the Classical World Series. First Edition Thus (1988), so stated. Issued simultaneously with the hardcover edition. A one-volume edition was published in 1986. University Press Paperback. Title: The Roman World (The Oxford History of the Classical World, Volume 2).